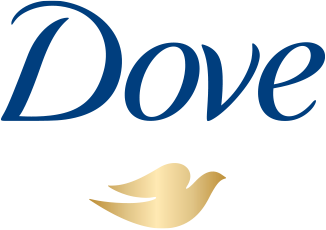 Dove Sensitive Skin Unscented Body Wash is hypoallergenic and unscented as well: it’s our best body wash for sensitive skin. Those of us with sensitive skin know all too well that it needs special care – and how much of a relief it is when we find a body wash that provides that. A good sensitive skin body wash is designed with the needs of delicate skin in mind. And we know one that fits the bill: Dove Sensitive Skin Unscented Body Wash, a dermatologist-recommended, hypoallergenic body wash that looks after sensitive skin while still providing the rich lather that we all love. Dove doesn’t leave skin stripped of nutrients after washing. That’s because the formula has mild cleansers, to help your skin retain nutrients as you shower, as well as NutriumMoisture, which replenishes nutrients that are lost. It helps to maintain your skin’s moisture barrier as you wash, and leaves Sensitive Skin Unscented Body Wash is hypoallergenic and unscented as well: it’s our best body wash for sensitive skin. Aqua, Cocamidopropyl Betaine, Sodium Hydroxypropyl Starch Phosphate, Lauric Acid, Sodium Lauroyl Glycinate, Sodium Lauroyl Isethionate, Hydrogenated Soybean Oil, Glycine Soja (Soybean) Oil or/ou Helianthus Annuus (Sunflower) Seed Oil, Sodium Chloride, Glycerin, Guar Hydroxypropyltrimonium Chloride, DMDM Hydantoin, Stearic Acid, Parfum, Citric Acid, BHT, Tetrasodium EDTA, Methylisothiazolinone, Iodopropynyl Butylcarbamate. First squeeze your body wash into your hands and work it into a creamy lather. Massage it gently over your skin before rinsing thoroughly with warm water. If your skin is easily irritated and feels dry after showering, try using warm water, instead of hot. Hot water can leave skin feeling itchy, tight and dry. So for happy, moisturized skin, keep the water warm.